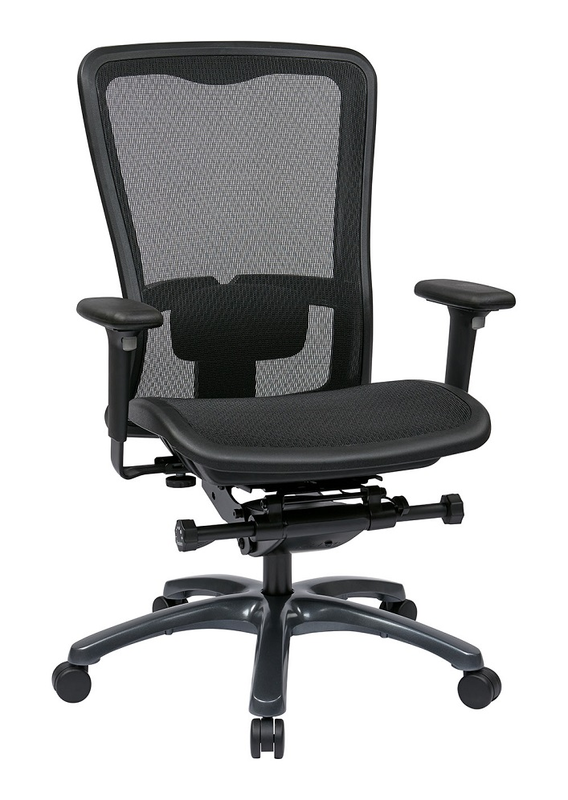 Advanced design coupled with superior construction beam from this Breathable High Back Ergonomic Office Chair. Featuring a high quality padded seat designed to foster spine health, and one touch pressured seat height adjustment for ease-of-use, comfort and support are now within reach. A durable mesh back provides for a breathable lumbar support, while adjustable padded arm rests allow you to relax your arms at your desired heigh thus minimizing fatigue and promoting productivity. Synchro controlled seat sliders further elevate your comfort level when used in conjuction with the standard adjustable tilt tension. A durable titanium finished base provides for a modern look that doubles as a sturdy long-life coating atop the durable dual wheel carpet casters. Combine all these features with the black synthetic fabric and you have a stylish seating option that is designed to support your body and mind. Add to cart now for online savings on this durable office chair.